The raisin bread from Suwamura Bakery is life-changing. I was able to buy a whole loaf last week – usually all the bakery has available are half loaves, if they have any at all. We’ve had a busy, wonderful week! 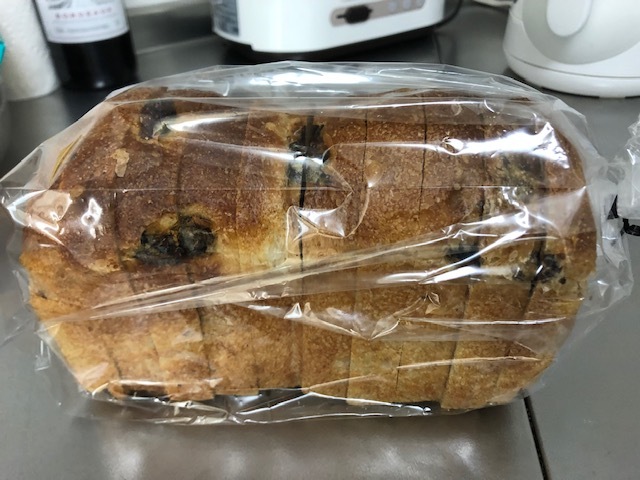 On Monday we went to Hiroo, our son’s old neighborhood, to pick up a loaf of tasty raisin bread and to get some yen at the New Sanno Hotel. We also went shopping at a Costco with our daughter-in-law on Friday, an interesting and fun experience; took care of our grandkids for a few hours and spent an afternoon with them at a park on Wednesday; went to see a puppet show our grandson was part of at his school (very fun!) on Thursday; and Brett spent yesterday afternoon watching our grandson skate and then C came over to our place and spent the night. And, of course we finally reached a decision on where to settle next December, a big relief for both of us. The insomnia is gone. Doesn’t this big slide look fun? Two levels! It was very well monitored, and kids of all ages loved it. Little ones always went down with an older child. She just had to sit in the “pink chair” that was sitting in front of a restaurant we walked past, and she was pretty satisfied with herself for accomplishing it. The trip to Costco on Friday was fascinating. Inside it looks much the same as a store does in the U.S. I was surprised by the number of U.S. products available, but most of the merchandise, around 70% or so, is still Japanese. Annual membership costs less than it does in the U.S., only around $41/year, and they also have a credit card that gives back rebates (there is no executive level membership). Prices were for the most part slightly higher than in the U.S. but low for Japan according to our DIL. M was especially thrilled by the number of organic products available. And, of course there was a food court, with prices about the same as in the U.S. – we had hot dogs before we left! My one disappointment was that their sample game was weak – I had hoped to try some interesting things but that didn’t happen. And, I still have no idea where people store the big packages they buy there. Perhaps much of what is bought is shared with friends and/or family, but otherwise I have no clue. Thankfully our son’s house has quite a bit of storage space for all that M bought, and maybe others who shop there do too. Costco in Japan pretty much looks like Costco in the U.S. 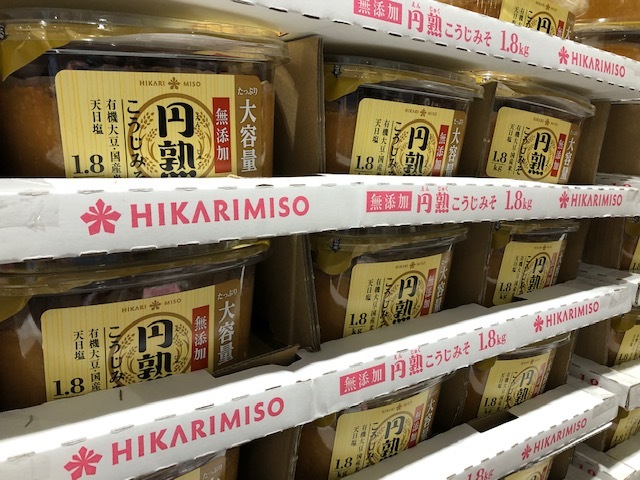 However, in Japan they carry things like large tubs of miso . . .
. . . and Lipton cherry blossom tea (which we were almost tempted to buy). What did we buy at Costco? I found the giant bag of mugi-cha tea bags that I was looking for, more than enough to get me through the summer back in the U.S. They will be divided up, repacked and tucked into both Brett and my suitcases when we go back to the U.S. We also bought organic bananas, big packages of blueberries and raspberries, a large bag of Australia-made granola, a bottle of red wine for Brett, a box of organic Medjool dates, a case of bottled water and a case of bottled (caffeine-free) rooibus tea. We also divided up a dozen of Costco’s huge muffins, a big package of dried prunes, and a box of wonderful goat’s milk soap bars with our DIL, and we bought our son a big bag of Cretor’s Chicago mix popcorn. The store was running a fabulous promotion on Nespresso machines, and Brett and I both said that if there had been a way to get it back to the U.S. we would have bought one. 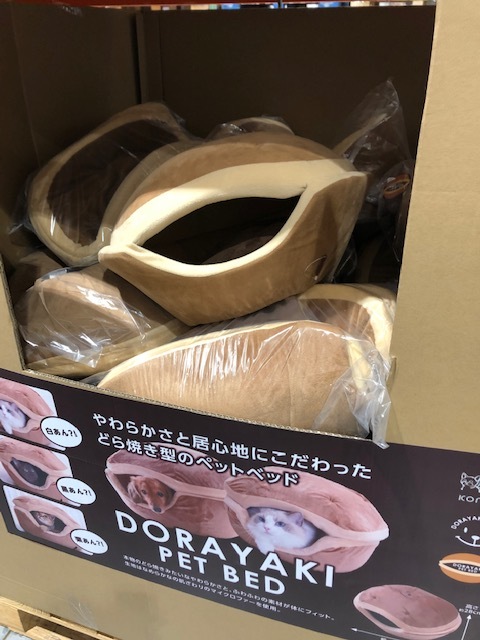 Only in Japan: dorayaki pet beds. Dorayaki are a popular snack made of two sponge cake pancakes filled with sweet beans. 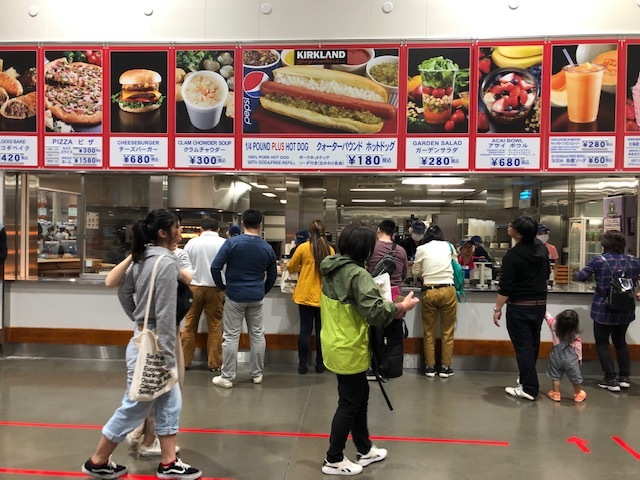 Costco hot dogs are just slightly over $1.50 in Japan, and come with the same fixings and a drink. They also serve the same pizza as they do in the U.S.
A few cherry trees have started blooming, but the best is yet to come. Up until yesterday the weather had been warm, to the point that we didn’t even need sweaters and could leave the heating off in the apartment, but yesterday snow was falling parts of Tokyo! LOL – welcome spring! Reading: I got a lot of reading done this past week. I finished A Rising Man, read The Word is Murder by Anthony Horowitz in just two days (I could not put it down! 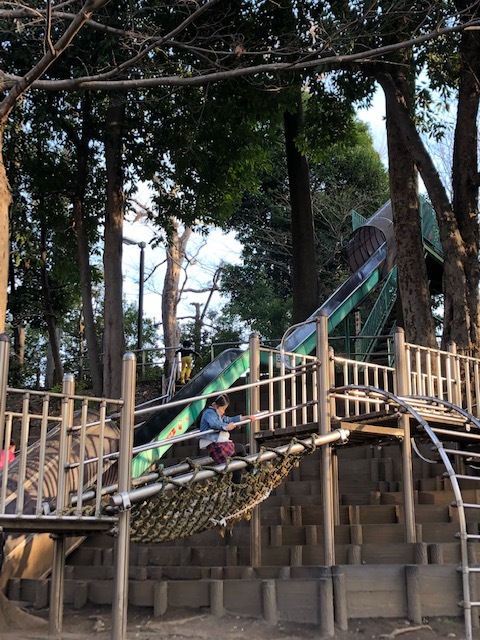 ), and quickly read Super Cheap Tokyo by Matthew Baxter to see if I could learn of a few more fun and low-cost things for Brett and I to do while we’re here. I’m now reading Strength of What Remains by Tracy Kidder, the inspiring story of an immigrant to the United States. Watching: I started Ricky Gervais’ After Life, which is good, but haven’t gotten back to it for a few days because I’ve been reading so much. Cooking: Brett made Lucky Charms pancakes for our grandson this morning (plain ones for me, thank you), and tonight we’re going to have leftover spaghetti with marinara, so no real cooking for me today. All I know about the rest of the week is that tomorrow I’m going to make Caprese-style eggs for our dinner, and we’ll be having stir-fried pork with cabbage and chili shrimp for dinner on another day. Happy I accomplished last week: I don’t feel like I “accomplished” anything special this past week – I just did the things we set out to do. Nothing was big or special, but all of it was fun. Looking forward to next week: Meiling arrives on Thursday! Brett and I will get ourselves out to Narita to meet her and her boyfriend and get them back here and settled, and then on Friday morning Brett and I are going with M & M and the grands to Odawara for an overnight visit (Meiling will be fine on her own here – her boyfriend has visited Japan before and knows how to get around). On Sunday morning we’re all getting together for the fabulous Sunday brunch at the New Sanno Hotel to celebrate Brett and my 40th anniversary, and then we’ll visit the Meiji Shrine and Harajuku with Meiling and K. Brett and I are going over to the Imperial Palace on Tuesday (weather permitting) to walk the path around the palace and to check out the cherry blossoms. Thinking of good things that happened: The whole week was just a nice one, with lots of time spent with family but also enough time on our own to relax and read and get things done here in the apartment (there is always laundry to do every few days). We finally got around to picking up some takoyaki (octopus balls) from the corner shop – they were delicious and affordable, and the shop is close enough that the takoyaki were still hot when we got it home. WenYu messaged to let us know she had been visiting Israel for a few days – they had a long weekend and a classmate was going and asked WenYu to go along with her. We splurged twice last week: cherry blossom cookies and . . .
. . . hot, freshly made takoyaki. Inside the crisp balls are small tender pieces of octopus (tako). 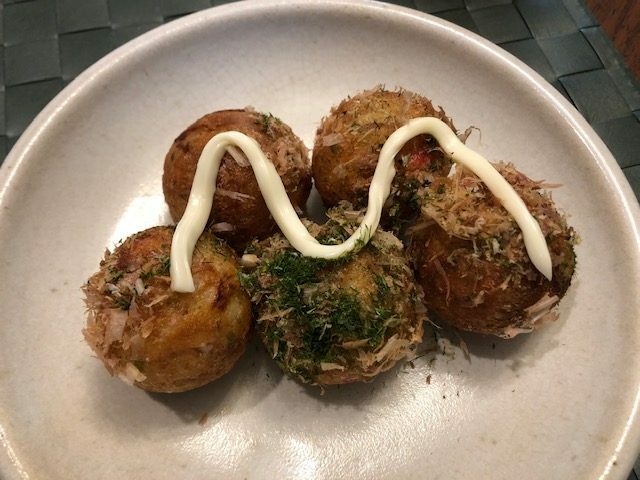 Takoyaki are traditionally served with dried fish flakes, seaweed, takoyaki sauce and . . . mayonnaise. They are delicious! Thinking of frugal things we did: We did not spend a whole lot of money this week and even with our Costco shopping we are still under our daily budget. The only extras we bought this week were some special cherry blossom cookies in Hiroo and the takoyaki. We were tempted to buy a whole lot more at Costco but we didn’t. We have also been doing a good job of eating up our leftovers, and making sure food in the fridge gets eaten on time so nothing gets thrown out. 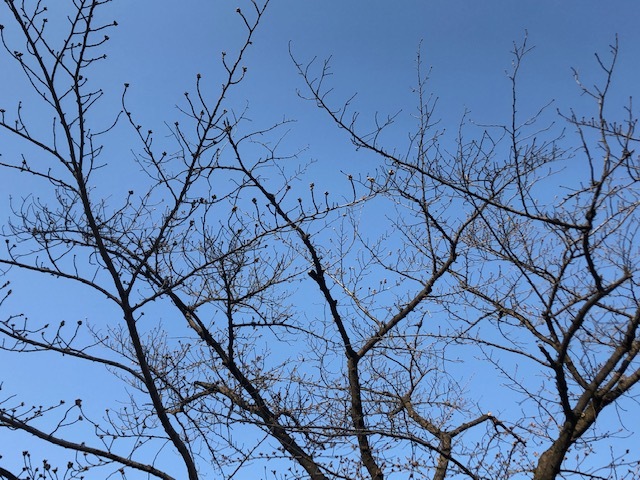 Grateful for: I am thankful that we will be in Japan this year for the cherry blossoms because we just missed seeing them on our last two visits. Also, Meiling will get to see them as well. She is the last of our children to come to Japan, so I’m hoping this is one of the things that will help make the trip extra special for her. Japanese word of the week: Gokigen ikaga desu ka? ご機嫌いかがですか Well, that’s more than one word, but the phrase I learned this week is how you say how are you? to someone of higher status (which is something I totally don’t understand how to judge). I’ve always said Ogenki desu ka? お元気ですか and thought that was polite, but learned this past week that’s what you say with someone you see regularly (because if you’re very familiar, as with a family member or close friend, all you have to ask is Genki?). Having to always figure out you position in relation to someone else and then choosing the right language is one of the biggest reasons Japanese is so difficult for English speakers. While I was reading Super Cheap Tokyo, I found myself thinking again and again, I’ve already done this or I’ve been there. It was amazing to me to see how much I have done and seen over the years in Tokyo and the surrounding area. Our visit this time though is all about getting a feel for what it would be like if we could live here versus us doing a lot of sightseeing, so while it’s still fun for us to go out and do things, we don’t have an urge to see or do everything – daily life here is interesting enough. However, I did find a couple of cool things in the book that I didn’t know about and want to check out – one is going to be a mystery outing for Brett! I won’t be posting again until next Monday as we’ll be out and about all day Sunday. In the meantime, I hope you had a great week, and that plenty of good things happened for you! My experience with Costco sampling here in Australia is generally the weekends have the most samples. It is also when Costco is the most insanely busy here and even me who will suffer crowds if the rewards are great found our last weekend trip to be way too crowded. But worse, the sample stations have crowds of people waiting for the samples to appear, and folks will take more than one and still stand there and wait for more! 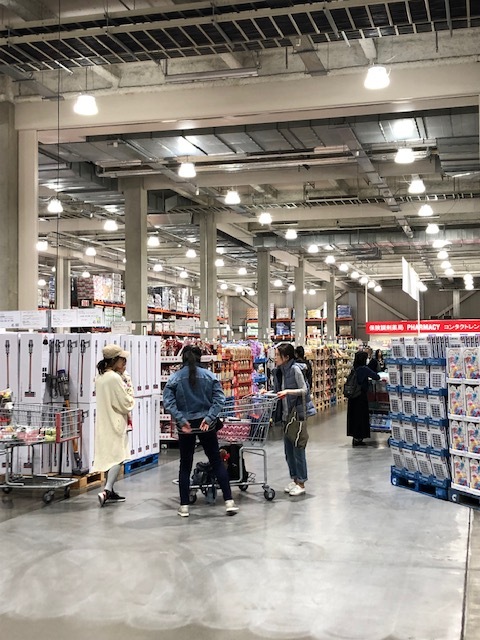 I would have loved to have seen an Australian Costco, but it probably would have been crowded – every place else was in Sydney (we still loved it though). Although, it might have been cool inside, which would have been a blessing, crowds or not. I saw the same thing here with people crowding around the few sample stands, waiting to get them. I have rarely if ever seen that in the States, at least not at the Costcos where we’ve shopped. People stroll past and pick up a sample, and if they’re not available people keep walking and come around later. How far is the drive to Canberra from where you are at? I can’t imagine it’s all that far away if you’re willing to drive there for a Costco or IKEA run. Wow – did not realize Canberra was that close by car. I get the wildlife thing too – those were the best times for wildlife viewing when we were on the train. It sounds like a wonderful week with plenty of family time. Raisin bread yes, octopus balls no thank you. 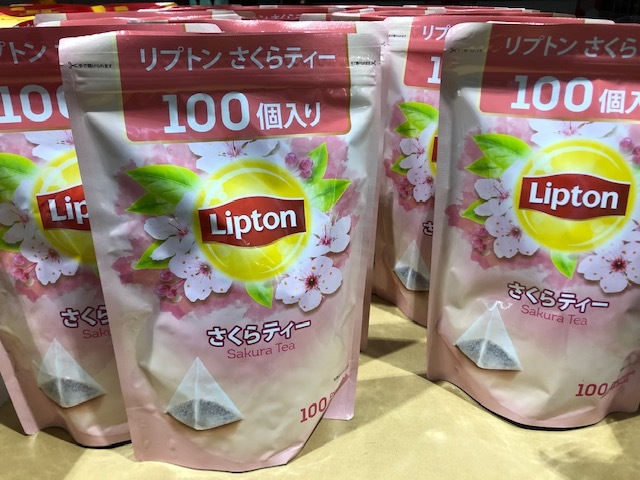 Cherry blossom tea I would like to try, What does it taste like? I didn’t think I was going to like takoyaki when I first tried it, but if the octopus pieces are small it’s very tasty. I’ve had some though where they put one large piece inside the ball, and they’re miserable to eat because you’re stuck gnawing on the octopus long after the dumpling is gone. I have no idea what the cherry blossom tea tastes like, but it looked tempting enough that we almost bought it. I imagine it’s quite tasty though – most sakura-flavored things are. 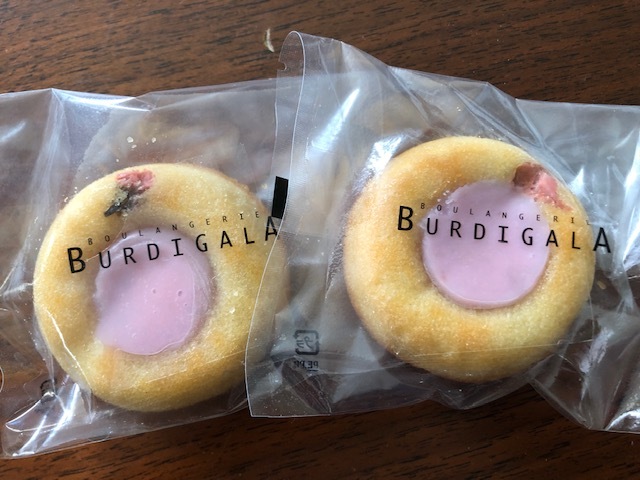 They were good – the cookie was actually soft, almost like a little cake, with a light sakura-flavored filling. The little flower on the cookie was actually a pickled cherry blossom bud, so along with the (slightly) sweet cookie we got one bite with a little tang to it. They were beautiful to look at – when we walked past the bakery it was those cookies that drew us in! Sounds like a really lovely week – and another one on deck! It’s so nice to hear about your time in Japan with your son and his family. And great that Meiling is arriving! It’s always fun to read about what you’re up to in your Sunday posts. We went to a Costco in Scottsdale to pick up a bottle of wine as a gift for friends we were visiting. Yikes. It made our Costco on weekends look tame. In either place, though, I’ve not a queue for the samples. LOL. Oh, and those pet beds are hilarious. It was a nice week. This week is a little crazier, and then next week we start picking up the grands after school. We are so happy to be spending so much time with them, and with our son and DIL. 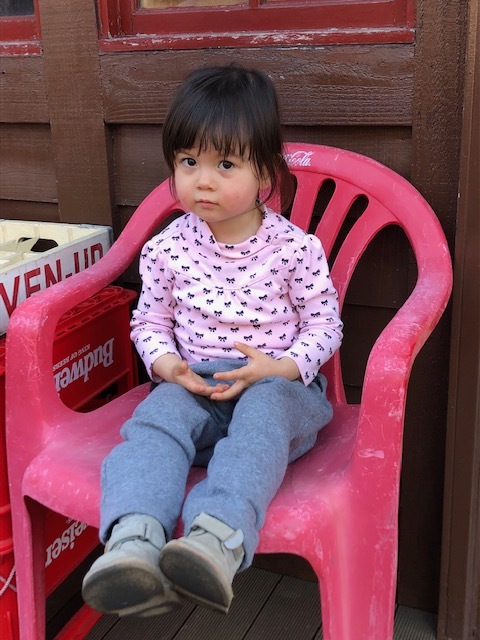 We’re looking forward to seeing Meiling this week – just hope we can make it out to Narita and back on our own! I thought the Costco here was great other than the small amount of samples. My DIL picked up one of the roast chickens for their dinner and I think that may have sealed the deal on whether to get a membership though – they loved it. The big hangup for them though is that it’s a 30-40 minute drive away, depending on traffic. If there was a way for me to bring one home I’d get one of those pet beds, and we don’t even have a pet right now! Love the little ones’ sweet little face and she definitely looks good in pink! Great choice little one! All of the goodies look divine! What a great visit with your family! There was no stopping her once she saw that chair! It was actually a faded red versus pink, and sort of a dangerous climb to get on it, but she was determined and so proud of herself when she made it. She is a pistol! It was great meeting you today at Ōtemachi! Love the blog and I look forward to following your adventures! We were so happy to meet you too and appreciated all of your advice and suggestions! I ordered two of your books – they’re up next after the one I’m reading now.